The International Prize for Arabic Fiction (IPAF) announced on Monday the longlist of candidates for the 2017 prize — known as the Arabic Booker — including Egyptian authors Youssef Rakha, for his novel Paolo, and Mohammed Abdel Nabi for his novel In the Spider's Chamber. Also included on the list were renowned Arab novelists Elias Khoury (Lebanon), Sinan Antoon (Iraq), and Amir Tag ElSir (Sudan). The longlist included 16 novels chosen from 186 entries from 19 countries, all published within the last 12 months. Selections were made by a panel of five judges, chaired by Palestinian novelist Sahar Khalifa. 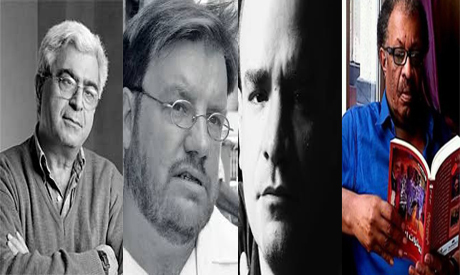 Of the 16 authors chosen, three have been shortlisted for the Prize previously, including Mohammed Hasan Alwan, Sinan Antoon and Amir Tag Elsir, and a further five previously longlisted, including Renée Hayek, Ismail Fahd Ismail, Abdul-Kareem Jouaity, Elias Khoury and Mohammed Abdel Nabi. IPAF said in a statement that these authors' "repeated recognition by the Prize demonstrates the enduring quality of their writing." Yassin Adnan, although a well-known poet, made his first appearance on the list with his debut novel, Hot Maroc. Sultan Al-Ameemi began writing his longlisted book, One Room Is Not Enough, at the 2014 Nadwa – an annual writing workshop for talented, emerging writers organised and supported by the Prize. Other Nadwa attendees on the list included Ali Ghadeer and Mohammed Hasan Alwan — the youngest writer to be selected. This year’s successful authors represent 10 countries across the Arab world and range in age from 37 to 76. The 2017 judges are: Palestinian novelist Sahar Khalifa (Chair); Palestinian translator Saleh Almani; Libyan academic, novelist and broadcaster Fatima al-Haji; Egyptian novelist and academic Sahar ElMougy; and Greek academic and translator Sophia Vasalou. Khalifa said "The longlist novels are hugely varied in their subject matter and imagined worlds, embracing history, political and social themes and fantasy. As a whole they express the interactions, struggles and defeats, as well as the hopes and dreams, of the Arab world today." The Arabic Booker — recognised as the leading prize for literary fiction in the Arab world — is now in its tenth year. Professor Yasir Suleiman CBE, chair of IPAF's board of trustees, said in a statement after the revelation of the longlist "this tenth anniversary longlist presents new writers and established ones who have reached the longlist before. This combination is testimony to the Prize in its search for creative voices whose provenance extends from the shores of the Atlantic Ocean to the Arabian Gulf." "The longlist novels for this year speak to the pressing concerns of the Arab World, doing so in different voices and styles that give texture and nuance to their narrative material," Suleiman added. The 2017 shortlist will be announced at the Palace of Culture in Algiers, Algeria on Thursday 16 February. The winner of the prize will be announced at an awards ceremony in Abu Dhabi on Tuesday 25 April, the eve of the Abu Dhabi International Book Fair. The six shortlisted finalists will receive $10,000, with a further $50,000 going to the winner.